Funds of European Cooperation SROO consults Russian enterprises on the organization of international market sale. Our client, the supplier of agricultural production, is searching for the purchasers of a lentil batch with our aid. 210 metric tons (10 trucks) of plate food lentil "Vekhovskaya", in which the best qualities of well-known classical sort "Petrovskaya 4/105" are reflected and continued. One of the best qualities of the sort - the seeds are of one yellow-green color, without marbleness signs. Lentil contains biologically active substances, that considerably strengthens its nutritious values. The typical characteristics of this sort is a tendency to the raise of the seeds size while growing. humidity 11,5%, weed admixture 0,45%, grain admixture 3,4%. Mineral and harmful admixtures are absent. Protein - 27%. It has homogeneous, yellow-green color, without marbleness signs. Boiling qualities are even. Cataleptic qualities are good. 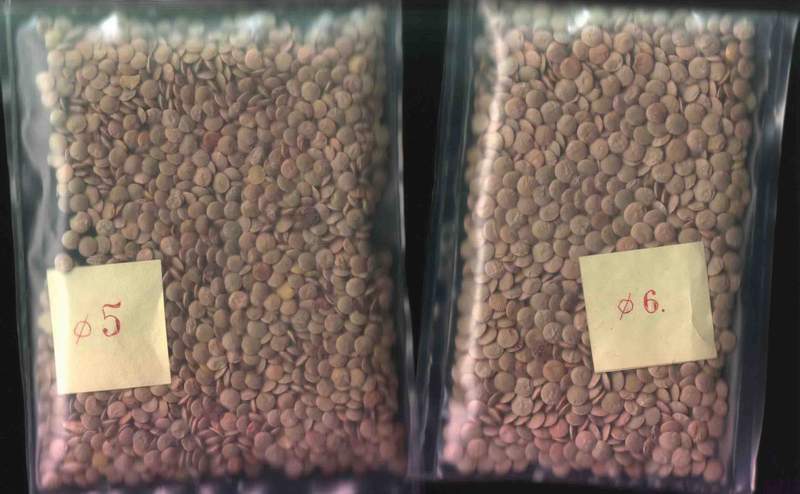 The batch of plate food lentil, has a certificate of contemporary Russian GOST 13-213(77)-90 ОCP 97-164 and corresponds to ISO standards. Lentil size is 6,3mm and 5,2mm (calibrated, packed separately depending on the size). Package: polypropylene bags, 50kg in each. Immediate delivery from the Supplier depository to the Purchaser depository by autotrailers or sea containers. The whole volume is 210 t, regular batches once a month, 21 t in each. At the time the trial batch, 21 t, is ready to loading. fractions 5,2 mm - approximately 6 metric tons. See the characteristics of the whole batch. � It is possible to offer the lentil of a less purification degree for a less price according to the wish of Purchaser. � It is also possible to offer red and yellow millet (rotmiler), chickpea, big-grained sunflower and other cereals. We hope on your interest to co-operation. We will answer all your questions and discuss all the details of co-operation.